How can a man choose between loyalty to his calling and to the people he loves? 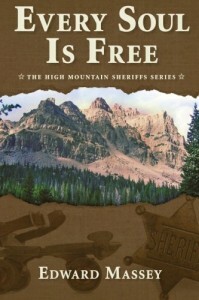 In 1948, in the mountainous world of Coalville, Utah, Sheriff Mark Willford Simms—third in the line of sheriffs who made the ultimate sacrifice for the job—must follow his calling and bring back to justice a man he caught once before, a man he raised like a son. The killer has escaped from the troopers transporting him across the state line. Simms pins on his star, ignores his poor health, and promises his grandson that he’ll be back on Sunday. The sheriff and his posse pursue the fugitive by truck, on horseback, and on foot through a mountainous blizzard and 100 years of history to a final confrontation, 11,000 feet up in the High Uintahs. Simms, a hard, matter-of-fact, molder of men, leads his four deputies. Strong ties, from pioneer ancestors to military service, bind the deputies and the relentless sheriff. But the renegade is intimately acquainted with the rugged mountains and his dogged pursuers—this will be no ordinary manhunt.